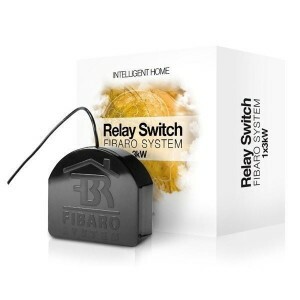 Fibaro Z-Wave activated relay switch which can also be triggered from existing mains switches so that manual control of the load is still possible using the existing switch plate. Easily transform your existing light switch to an automated one or use it to control other electric appliances like pumps, motor, sprinklers etc . This is a 3 wire device requiring a live and neutral connection. Know if your doors are open or closed with this almost invisible door sensor.